Tonight, 2019 award season kicks off with the Golden Globes, where the biggest stars in films and television will be honored for their performances. We’ve seen nearly every major celebrity arrive on the red carpet to attend this year’s award show. From host Sandra Oh’s first look of the night to celebs breaking the dress code, each attendee interpreted red carpet style differently. Among the arrivals was nominee Lady Gaga, who is favored to take home an award for her performance in A Star Is Born. The actress wore a strapless lavender Valentino gown detailed with a dramatic train, voluminous sleeves, and matching purple hair. Many fans on Twitter were quick to point out that her Cinderella-like gown makes her red carpet appearance very royal. Perhaps the most impressive thing about Gaga’s look, though, is that it so closely resembles a dress Judy Garland wore in the 1954 version of A Star Is Born. 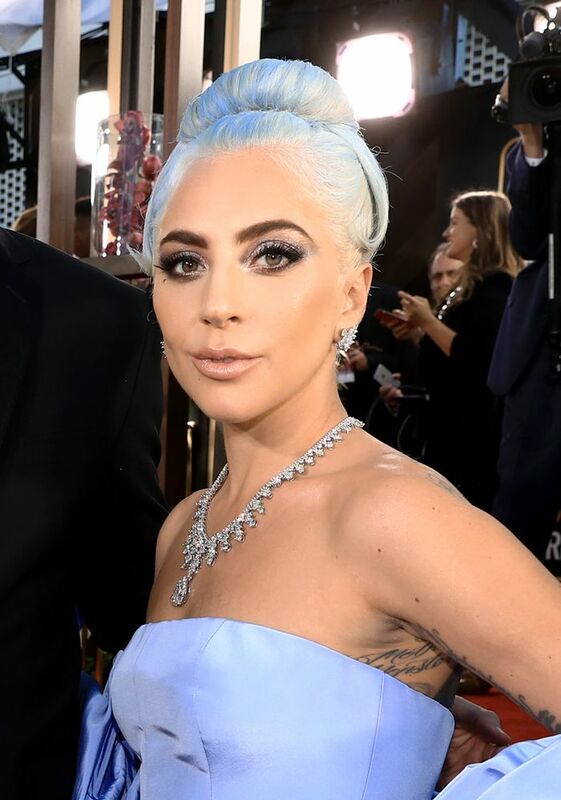 See photos from Lady Gaga’s 2019 Golden Globes red carpet appearance below. Judy Garland in the 1954 film A Star Is Born. The similarities to the dress are striking.